Get your copy of Valor at Nam Dong signed by Medal of Honor recipient, Colonel Roger Donlon and Captain Michael Disser. On July 6, 1964, Viet Cong and North Vietnamese Regular forces attempted to destroy the Special Forces camp at Nam Dong in South Vietnam. A large enemy force struck the camp at 0226 hrs, a well coordinated attack from both inside and outside the compound. This effort nearly succeeded in destroying the camp. 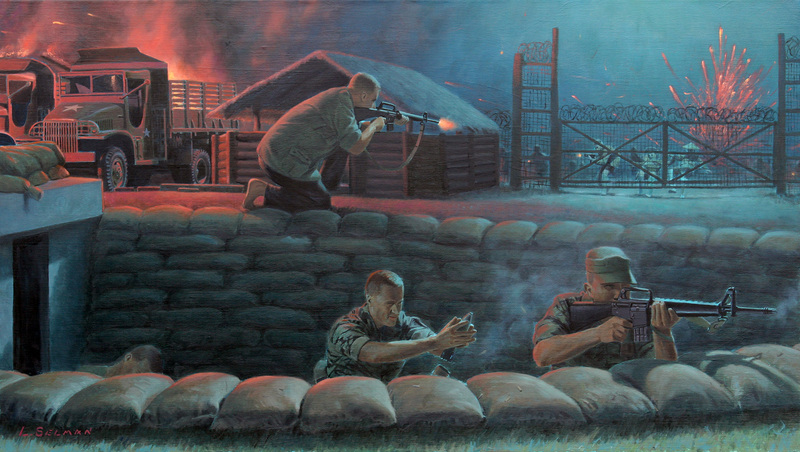 The drawing depicts Colonel (then Captain) Roger Donlon dispatching the three VC sappers attempting to breach the main gate. Lieutenant Colonel (then 1st Lieutenant) Jay Olejniczak returning fire and Captain (then Sergeant) Mike Disser firing illumination and explosive mortar rounds on the enemy. Master Sergeant Pop Alamo leans next to the bunker, wounded badly in the fighting. 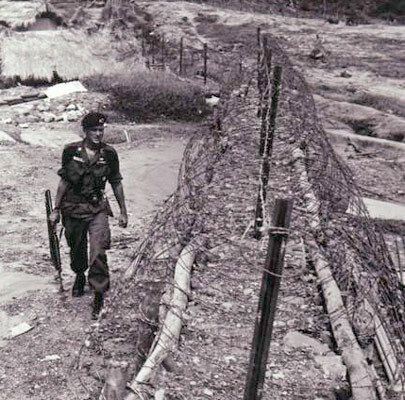 The fighting at Nam Dong would ebb and flow over a five hour period with the Special Forces Team retaining control of the camp. 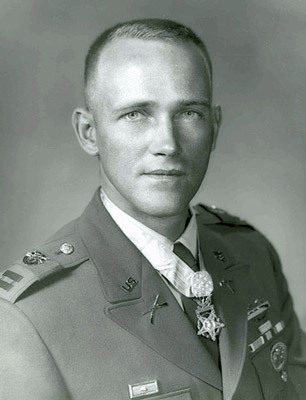 Captain Roger Donlon would be awarded the Medal of Honor, the first recipient of the Vietnam War and the Special Forces community. Roger Hugh Charles Donlon, C.M.H. Colonel Roger Donlon was born and raised in Saugerties, NY. 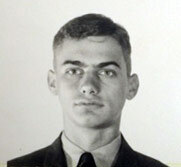 His military career began in 1953 with enlisted service in both the Air Force and Army. 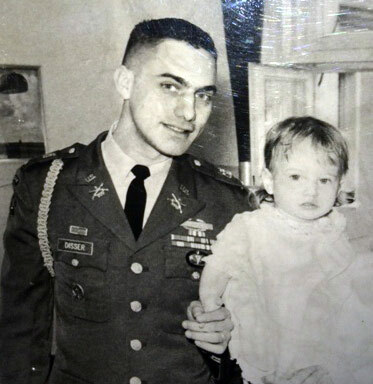 Commissioned through Officer Candidate School as an Infantry Officer in 1959, he spent the next 29 years serving in assignments based on a triad of his specialties as an Infantry, Special Forces and Foreign Area Officer. For conspicuous gallantry and intrepidity at the risk of his own life, above and beyond the call of duty on 6 July 1964, Colonel Donlon became the first American soldier to be awarded the Medal of Honor in Vietnam. Military and civilian education include: The Special Warfare Course; Infantry Advanced Course; Command and General Staff College; Foreign Service Institute, U.S. Army Institute for Military Assistance, School of International Studies; and the Army War College. Colonel Donlon received a BGS from the University of Nebraska at Omaha and an MS in Government from Campbell University. 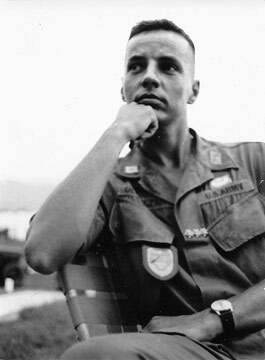 Colonel Donlon is the author of BEYOND NAM DONG a self-published autobiography currently available. He is also the co-author of OUTPOST OF FREEDOM, published by McGraw-Hill and condensed for publication in the October 1965 issue of the Saturday Evening Post, which featured his picture on the cover. Since retiring from the Army in December of 1988 Colonel Donlon has served on the Board of Directors/Trustees of People-to-People International. He has also been a Scholarship Friends Executive Committee member at the University of St. Mary in Leavenworth and an Honorary Member of Rotary International. Currently he serves on the Board of Trustees for the CGSC Foundation and the National Council of the Vietnam Center at Texas Tech University. In May of 1995 he was inducted into the Fort Leavenworth Hall of Fame, the only non-General Officer to hold this distinction in the 20th century. In May of 1997 Colonel Donlon became the first recipient of the Outstanding Alumnus Award at the U.S. Army War College. 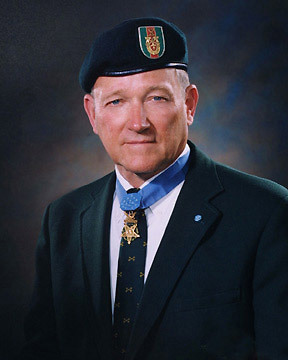 Appointed in May of 2004, Colonel Donlon served as the "Honorary Colonel" of the First Special Forces Regiment until April of 2010. 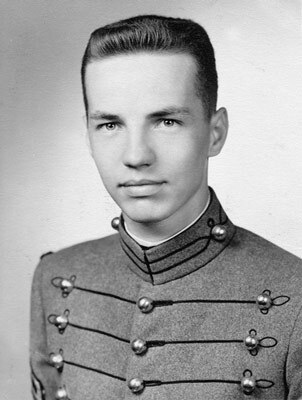 Colonel Donlon married his wife, Norma, on 9 November 1968. They have five children and six grandchildren. For conspicuous gallantry and intrepidity at the risk of his life above and beyond the call of duty while defending a U.S. military installation against a fierce attack by hostile forces. Capt. 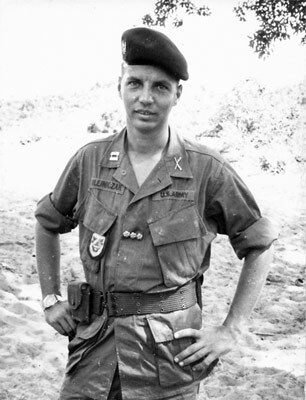 Donlon was serving as the commanding officer of the U.S. Army Special Forces Detachment A-726 at Camp Nam Dong when a reinforced Viet Cong battalion suddenly launched a full-scale, predawn attack on the camp. During the violent battle that ensued, lasting 5 hours and resulting in heavy casualties on both sides, Capt. Donlon directed the defense operations in the midst of an enemy barrage of mortar shells, falling grenades, and extremely heavy gunfire. Upon the initial onslaught, he swiftly marshaled his forces and ordered the removal of the needed ammunition from a blazing building. He then dashed through a hail of small arms and exploding hand grenades to abort a breach of the main gate. En route to this position he detected an enemy demolition team of 3 in the proximity of the main gate and quickly annihilated them. Although exposed to the intense grenade attack, he then succeeded in reaching a 60mm mortar position despite sustaining a severe stomach wound as he was within 5 yards of the gun pit. When he discovered that most of the men in this gunpit were also wounded, he completely disregarded his own injury, directed their withdrawal to a location 30 meters away, and again risked his life by remaining behind and covering the movement with the utmost effectiveness. Noticing that his team sergeant was unable to evacuate the gun pit he crawled toward him and, while dragging the fallen soldier out of the gunpit, an enemy mortar exploded and inflicted a wound in Capt. Donlon's left shoulder. Although suffering from multiple wounds, he carried the abandoned 60mm mortar weapon to a new location 30 meters away where he found 3 wounded defenders. After administering first aid and encouragement to these men, he left the weapon with them, headed toward another position, and retrieved a 57mm recoilless rifle. Then with great courage and coolness under fire, he returned to the abandoned gun pit, evacuated ammunition for the 2 weapons, and while crawling and dragging the urgently needed ammunition, received a third wound on his leg by an enemy hand grenade. Despite his critical physical condition, he again crawled 175 meters to an 81mm mortar position and directed firing operations which protected the seriously threatened east sector of the camp. He then moved to an eastern 60mm mortar position and upon determining that the vicious enemy assault had weakened, crawled back to the gun pit with the 60mm mortar, set it up for defensive operations, and turned it over to 2 defenders with minor wounds. Without hesitation, he left this sheltered position, and moved from position to position around the beleaguered perimeter while hurling hand grenades at the enemy and inspiring his men to superhuman effort. As he bravely continued to move around the perimeter, a mortar shell exploded, wounding him in the face and body. As the long awaited daylight brought defeat to the enemy forces and their retreat back to the jungle leaving behind 54 of their dead, many weapons, and grenades, Capt. Donlon immediately reorganized his defenses and administered first aid to the wounded. 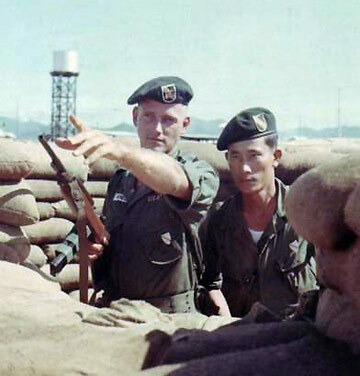 His dynamic leadership, fortitude, and valiant efforts inspired not only the American personnel but the friendly Vietnamese defenders as well and resulted in the successful defense of the camp. Capt. Donlon's extraordinary heroism, at the risk of his life above and beyond the call of duty are in the highest traditions of the U.S. Army and reflect great credit upon himself and the Armed Forces of his country. Author, 2011-present. To Be A Soldier: A Selective American Military History, 2015; various magazine articles. 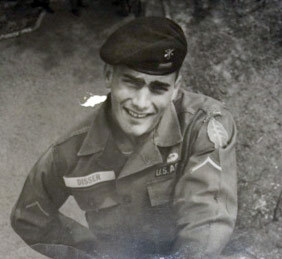 Silver Star, Purple Heart, Bronze Star, Meritorious Service Medal (3), Army Commendation Medal, Combat Infantryman Badge.